OCEANFRONT LIVING WITHOUT THE RISK!!! Direct BEACH ACCESS across the street! Experience magnificent, unobstructed sunrises over the Atlantic Ocean from the large deck, living room, and dining room of this well-maintained and luxuriously appointed beach home. Features include a 10x20 Pool and Wet Bar. Ground floor features a Game Room, outdoor shower, Wet Bar, laundry and powder room. The first floor features a Den, two bedrooms, full bath with tub, Bunk Room, and a Master Suite. 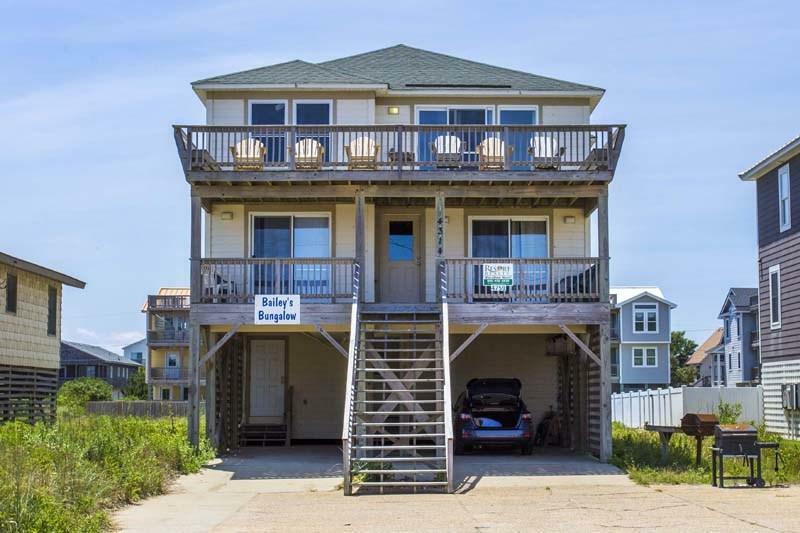 Top floor features a deck with spectacular Ocean Views, great room with Fireplace and built-in shelving, dining area and breakfast bar that seats a total of 12, enclosed Sun Porch, and a second Master Suite with a full bathroom and Walk-In Closet. Top floor also features Cathedral Ceilings and three Skylights! Beach Nourishment completed in 2017. Make sure you put this complete home on your list to see! Listing courtesy of Alex Argiroff of Watersedge Realty.